Dr. Solomon accepts the following list of insurance providers. Select your insurance provider to see more details. I am an interventional radiologist who uses x-ray, CT, ultrasound, and MRI to perform procedures less invasively. 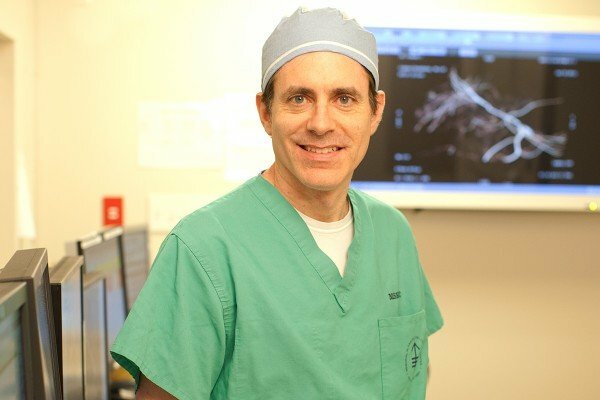 I am Chief of the Interventional Radiology Service in the Department of Radiology and also Director of Memorial Sloan Kettering’s Center for Image-Guided Interventions (CIGI). At CIGI, we are combining imaging processes and disciplines to develop and apply new image-guided cancer therapies to more effectively treat and cure disease. Interventional radiology is an increasingly common approach to treating cancer. We use images to see the tumor and the blood vessels that supply it. These images help guide our minimally invasive tools to the site of the tumor so we can use several diagnostic and therapeutic techniques. Patients who have interventional radiological procedures do not need a large incision. They often don’t need general anesthesia. In many cases, these procedures are less risky, and recovery times are shorter than with traditional surgery. My particular area of interest is treating tumors with thermal ablation. In this technique, we use imaging to guide a needle to a target tumor and then destroy it with either heat (radiofrequency ablation) or extreme cold (cryoablation). I treat kidney cancer, liver cancer, lung cancer, and bone cancer with these procedures. I also perform hepatic artery embolization. For this technique, we inject particles into the main blood vessel that supplies a tumor to cut off its blood supply. Some of my current research projects involve evaluating a new ablation tool called irreversible electroporation (NanoKnife®). I am also studying using a CT-guided clinical robot to perform procedures more accurately and using PET images to monitor the health of patients who have undergone ablation. In addition, I am looking for ways to boost the immune system’s reaction to cancer cells after tumor ablation. I lead a research lab of dedicated colleagues. We work together to improve image-guided cancer interventions. Visit PubMed for a full listing of Dr. Solomon’s journal articles. Pubmed is an online index of research papers and other articles from the US National Library of Medicine and the National Institutes of Health.